I have been invited to share with other gain4all readers my experience of CIDP over the past two years. I am in practice, as I recently gave an hour-long telephone interview to a modus researcher who wanted to know about my symptoms and response to IVIG treatment in minute detail. 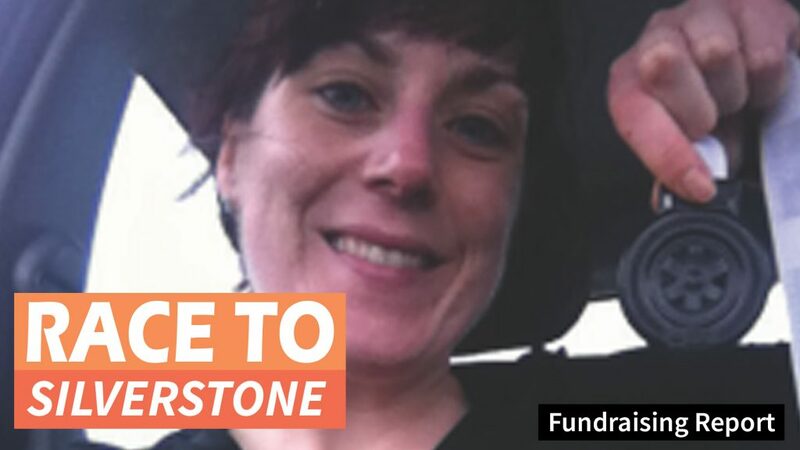 I know other CIDP patients are also taking part in this project, which benefits GAIN directly as well as all of us in the long run. In a scenario that will be familiar to many of you, my first symptoms were a drastic slowing down in my mobility. Until then I had been a keen walker, including many long-distance trails (see photo), so it was very disturbing to find myself dropping behind the rest of our local walking group. Then I had a couple of unexplained falls. My hands were noticeably slippery, tingling and weak. My GP couldn’t make sense of what was happening – which isn’t surprising, as the average GP sees CIDP only once in their career, so rare is it. I won’t bore you with the details, but eventually I collapsed and was admitted to our local General Hospital. Fortunately I was diagnosed by the consultant neurologist using an electromyogram, and admitted to the High Dependency Unit, with a catheter and feeding tube in place and an oxygen mask on standby in case my breathing packed up, and started on IVIG infusions, to which fortunately I quickly responded, and was discharged home after nearly three weeks. That was in September 2014. Since then I have been through the usual CIDP cycles of getting stronger, peaking, and then deteriorating markedly. I have had another seven five-day courses of treatment, four of them as an in-patient and three at the Medical Day Centre. I am now booked in for further courses of treatment every eight weeks. 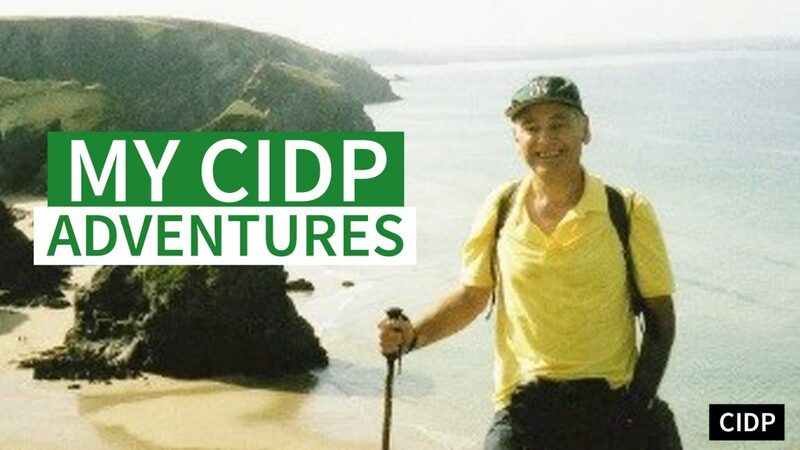 So how would I assess the impact of CIDP on my life? It has, of course, restricted me in ways that have been very frustrating and uncomfortable. My walking is now reduced to much shorter and easier routes, with the need to rest every few hundred yards. I have had to give up driving, and rely instead on our local bus service, offers from friends, and the occasional taxi. Holidays are problematic, and at present confined to day outings. I have had to come to terms with being substantially disabled, with all that implies. On the other hand, I have had some very interesting experiences that I wouldn’t have had if I had remained healthy – I had always wondered what being swallowed up by an MRI scanner was like, now I know! Moreover I have been in intimate care situations with people I would never have met, hospital staff and fellow patients, and (most of) these have been very rewarding. And as neurological conditions go, CIDP is at least treatable and not progressive for most people, compared to Parkinson’s, MS etc. And the treatment itself is not only painless, but rather relaxing (see photo). In the end, everyone will respond differently to the challenges of CIDP. I have the advantages of a generally optimistic temperament (I’m a ‘glass half full’ man); a caring wife and family, and kind supportive friends; a Christian faith; excellent hospital and community services; hobbies and a range of (mostly) local activities I can still enjoy, particularly swimming and Tai Chi, which I find very beneficial. Would I rather that I had never been struck down by CIDP? Of course. But can I continue to enjoy life and keep going? The answer, so far at least, is an emphatic yes.